Company: David D. Smith, P.C. 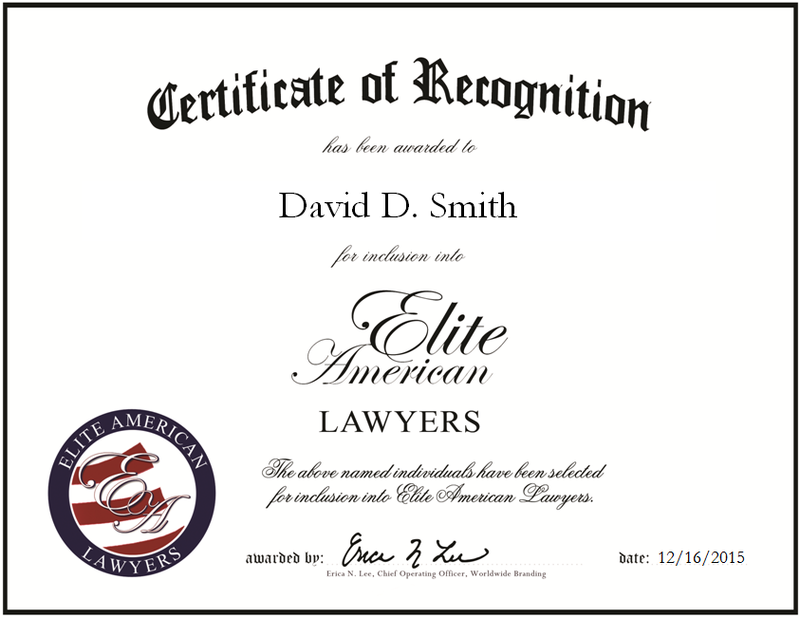 Norman, OK, December 16, 2015, David D. Smith, Attorney at David D. Smith, P.C., has been recognized by Elite American Lawyers for dedication, achievement and leadership in legal services. Committed to providing clients with the highest level of legal representation, David D. Smith focuses on civil and criminal trials, criminal defense and personal injury. Long before becoming an attorney, he was drawn to the legal arena because it would allow him to work as a self-employed professional in a well-respected service industry. Now, more than three decades later, he takes pride in assisting clients with civil and criminal cases. He earned a JD from The University of Oklahoma College of Law in 1982, and he is currently affiliated with the National Association of Criminal Defense Lawyers and the Oklahoma Bar Association. In addition to working at his law firm, Mr. Smith is also a faculty member at The National Judicial College and Trial Lawyers College. In the next five years, Mr. Smith hopes to continue serving the people of his community. This entry was posted in Civil Law, Criminal law, Personal Injury and tagged civil trials, criminal trials, faculty, National Association of Criminal Defense Lawyers, Oklahoma Bar Association, The National Judicial College, Trial Lawyers College. Bookmark the permalink.